The Association Agreement signed between the European Union and Moldova on June 27 raises the relationships between the Moldova and the EU to a new level and creates favourable conditions for strengthening the co-operation between Bulgaria and Moldova, Bulgarian President Rosen Plevneliev told a joint news conference in Sofia with his Moldovan counterpart Nicolae Timofti. 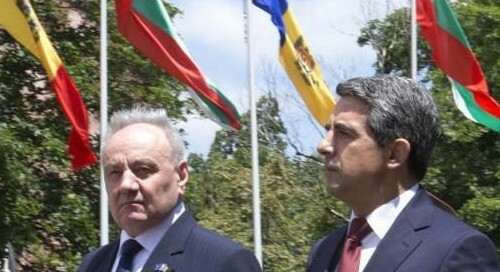 Timofti’s official visit to Bulgaria on July 1 was the Moldovan head of state’s first such visit after the Association Agreement with the EU was signed. European integration is “the engine” not only of peace, democracy and human development, but also of implementing important reforms, Plevneliev told reporters. Bulgaria is consistent in its support for Moldova’s European prospects, he said.